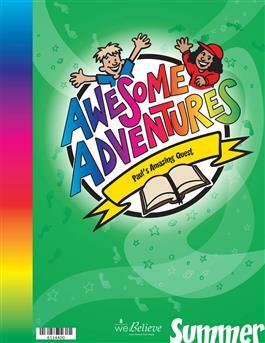 Anna, Jake, and your group of adventurers will follow the apostle Paul on his amazing quest-from his conversion on the road to Damascus, as he encounters a magician, sparks a riot in Ephesus, and survives a shipwreck in Malta. Packed with kid-friendly lessons, take-home comics, and activities, this broadly graded summer curriculum encourages children to explore the stories of Paul. This all-inclusive Teacher's Book includes 13 easy-to-use lesson plans, reproducible resource sheets, and 'For the Home' pages, as well as photocopiable, take-home comic adventures that enable children to make a comic book of their very own.